Type: Prime Residential, Heritage, Conversion. Address: Elgin Avenue Maida Vale. Elgin Avenue in Maida Vale, West London is a six apartment heritage conversion scheme for client, Leading Properties. 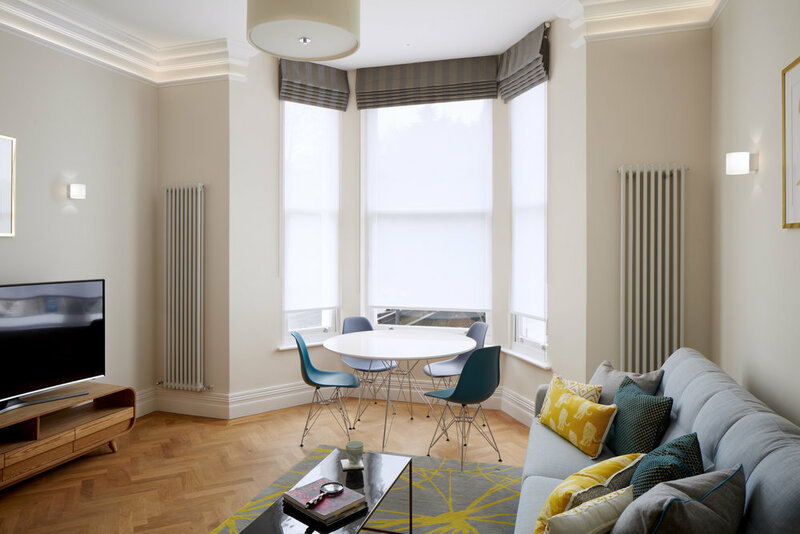 Making efficient use of space the conversion of an end-of-terrace Victorian building in Westminster provides six spacious prime residential homes. The building has been extended at roof level to form a duplex apartment and extensively at lower ground floor to form new apartments which wrap around courtyards and open onto garden space. The design contrasts clean contemporary spaces with the restored exterior and interiors of the original building whilst upgrading the performance of the existing building fabric throughout.